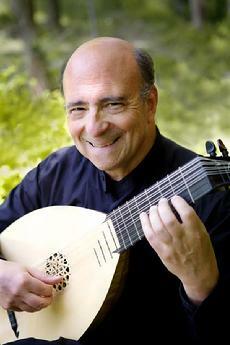 Sunday morning’s musical selections feature lutenist Harris Becker playing gems from the English Renaissance and in collaboration with soprano and CUUC Choir Director Lisa N. Meyer. The CUUC Choir is also on hand with works by Thomas Morley and Roger Emerson. Read on for programming details and Mr.Becker’s biography. Becker has performed extensively both as a soloist and chamber musician throughout the United States, Europe, South America, Mexico and Canada. In recent years he has given concerts and master classes in New York, Alabama, Canada, Connecticut, Florida and Bermuda. In the fall of 2014 Mr. Becker gave concerts and master classes in Thailand and throughout Vietnam including at the U.S Consulate in Saigon. In the spring of 2015 “The Amaryllis Project” (world-renowned pipa virtuoso Liu Fang and Harris Becker) gave a concert of world premieres for pipa & guitar at the Long Island Guitar Festival, which included a new work by Carlo Domeniconi. In 1993 Mr. Becker founded the Long Island Guitar Festival, of which the New York Times wrote: “The “Long Island” in the festival title clearly refers to its location and origins, rather than to its scope”. Mr. Becker has been a faculty member at Nassau Community College, The Aaron Copland School of Music at Queens College and Director of Music for Mixed Ensembles at the International Institute for Chamber Music at the Richard Strauss Conservatory in Munich. The Florida State Division of Cultural Affairs selected Mr. Becker to participate in Florida's Artist Residency Program, giving lecture/performances on the lute and baroque guitar. Harris Becker is Director of Guitar Studies at LIU Post. He recently received an award for outstanding service from the School of Visual and Performing Arts at Long Island University. Mr. Becker is also a member of the Artesian Guitar Quartet. Harris Becker is co-founder and artistic director of the summer music festival in rural Quebec “Songe d’été en Musique”. The festival just celebrated its tenth anniversary at which the Youth Orchestra of the Americas took part led by artisitic director Placido Domingo. This concert was called “historic” by the press in Quebec. His recordings include “Catgut Flambo” with guitarist Pasquale Bianculli and a solo CD “Passing Through.” His editions and publications are published by T.D. Ellis Music Publishing and Calavar Music.